It is, in large part, inhabited, sometimes year-round but most often in the summer. There are lots of cottages, large and small, made of fibre cement or wood. This place looks like a giant campsite whose tents and caravans would fall down eventually. As you stroll along the narrow roads, it’s almost like “The Village” in the Prisoner series. Then we pushed a little further on, between the trees and the nettles, and settled down on a hidden beach. 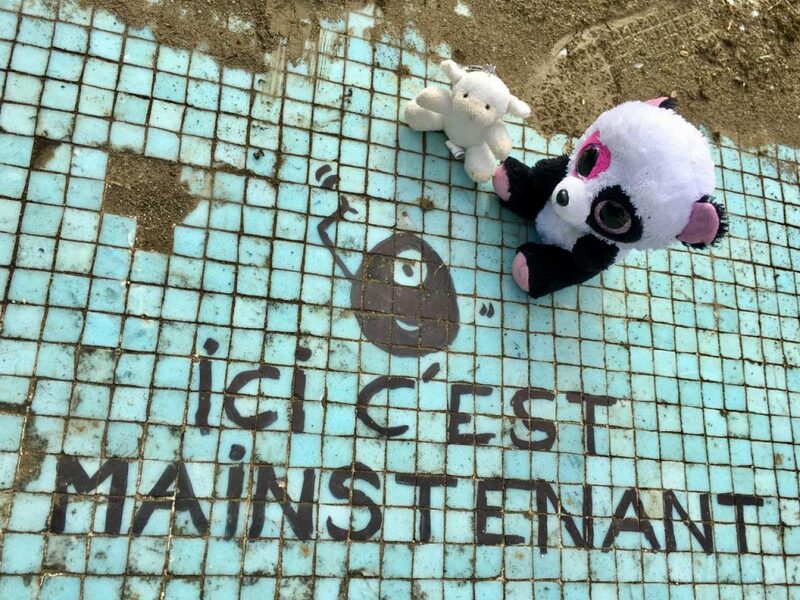 While the children laughed at each other in the muddy waters of the Seine, the adults took care to calmly pick up potentially harmful objects: rusty rims, pieces of glass, plastic and scrap metal…all the rubbish from civilization landed on the shores of this magical island. Photoa : © 2017 Mainstenant | all rights reserved.